There is something so viscerally satisfying about singing at the edge of range, and then holding notes or melodies against other singers holding theirs. Nothing compares. Nothing. Last month at Sub Culture I was lucky enough to do a few duets with the extraordinary Jo Lawry and Tiger Darrow. This month, NEXT WEEK in fact, September 18th I will have the exquisite joy of singing with Jo Lawry (Just back from her tour in Australia for her new record!) AND Anne-Marie Milazzo. 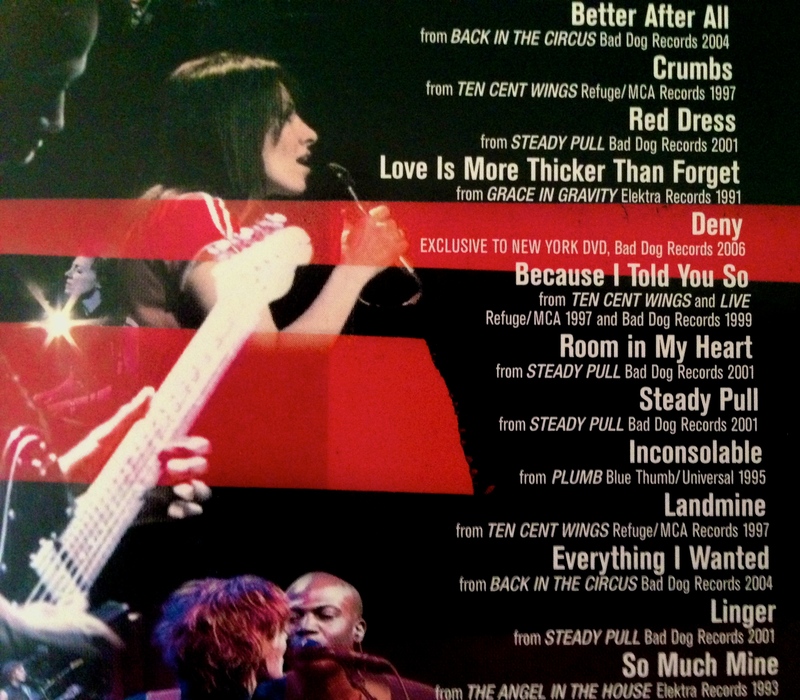 (You might remember Annie from the Live IN New York DVD, above). Three part harmony is something like ecstasy. I am again curating my little set-list. What about "God Only Knows?" OMG sublime with the three of us. "Landmine" - say no more; maybe "Because I Told you So." It's hard to explain how speechlessly, deeply happy I am to be singing again. Ben Butler on guitar and Rich Mercurio, percussion/drums, of course will round out the bliss. I Hope you can join us at SUB CULTURE NYC! And THEN, on the 21st I have the pleasure of returning to one of the most beautiful places on the planet: Bend, Oregon. Every time I've played in Bend has been dreamy. It is an unhurried, fresh-air-fresh-people place. I hope to see all my lovely Oregonian pals there! !